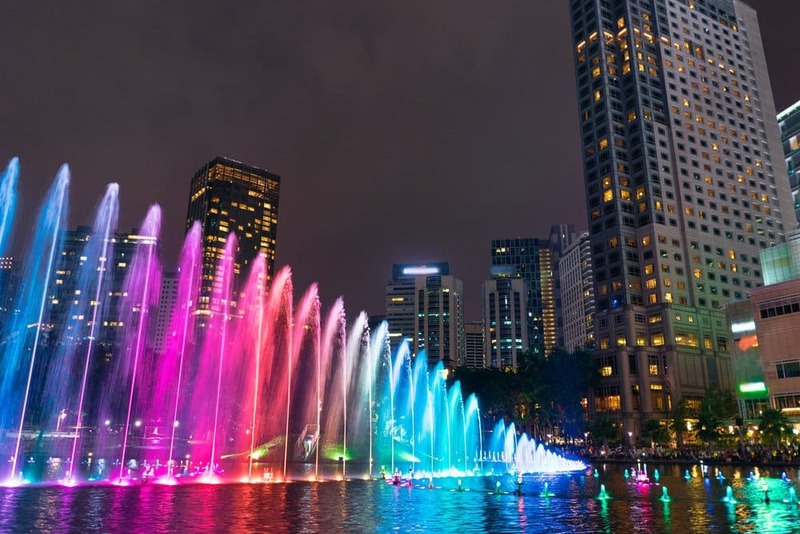 Kuala Lumpur is a popular destination that is perfect for a 2 or 3-day stopover before heading to one of the other great places in Malaysia. 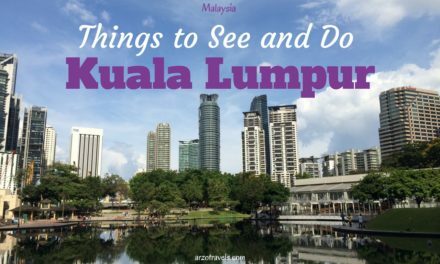 Here are my top recommendations for things to do in KL in three days. 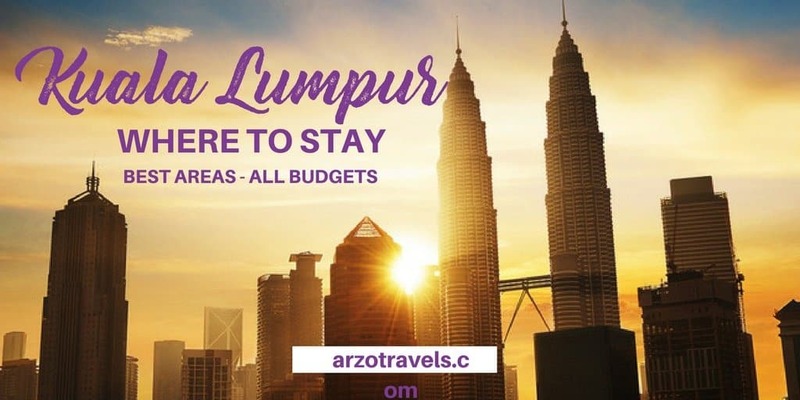 If you are planning to visit the city, but are not sure where to stay in Kuala Lumpur, and would like to know what the best areas and hotels are, this post will come in handy as it guides you to your perfect accommodation. I admit that I am not the biggest fan of Kuala Lumpur. 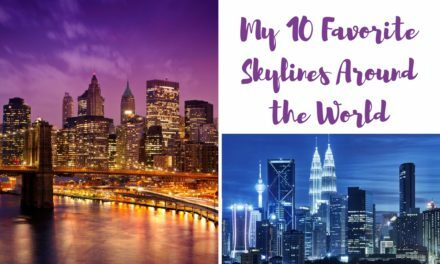 While I had a great time there, I stayed for about 10 days – which is definitely too long for a city like KL. 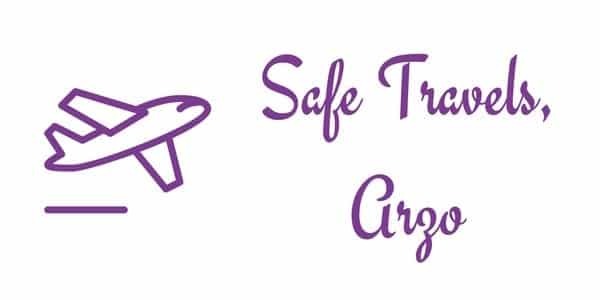 However, some reasons I did not fall head over heels in love with it was the fact that I booked accommodations in the wrong area (as usual, when I stay somewhere for several nights, I change hotels and areas in between). This means: a not-so-bad hotel, but a bit outside the city center, which meant that I had to take a taxi/bus if I wanted to get around… which meant I was stuck in traffic for some time. For quite a lot of time. Kuala Lumpur is not pedestrian-friendly, and being stuck in traffic made me enjoy the city less. I started enjoying the city when I changed hotels and stayed closer to the city center, where I did not need a taxi, etc. all the time to get around. So, long story short: when you visit, make sure to be smarter than I was and book the perfect accommodation in Kuala Lumpur for your trip. If you are looking for a very westernized, modern, and clean area with many attractions, then you should stay in KLCC. 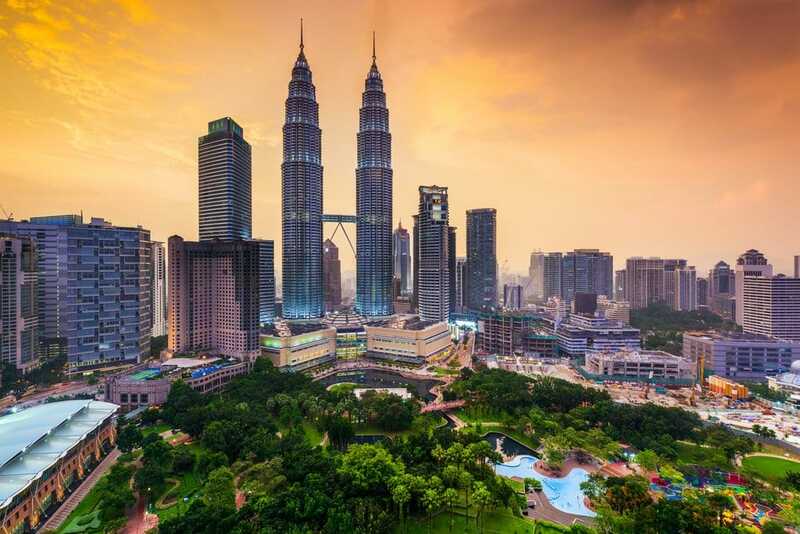 The most beautiful towers in the world, the two Petronas Towers, are also known as the Twin Towers and are the most famous landmark in Kuala Lumpur – and they are in KLCC. many shops (including the main shopping mall, Suria KLCC), Aquaria KLCC, the Kuala Lumpur Tower, City Center Park (which is a lovely park behind the Twin Towers), the famous water fountain, many restaurants, the best hotels, many bars with great views (including the Sky Bar of the Traders Hotels), and the best fancy nightclubs. It is not the cheapest area to stay in, but it is worth the money. It is actually the most popular area among visitors, as there is a lot of life and action, and it is suitable for all budgets. Bukit Bintang is a hip and busy district close to KLCC. You have a more relaxed atmosphere here, and it is – unlike KLCC – not only luxury hotels. You can also find hostels and many more cool and fun places, like Changkat Bukit Bintang, where many people head after work to end their day. So, do not be surprised that it is busy. 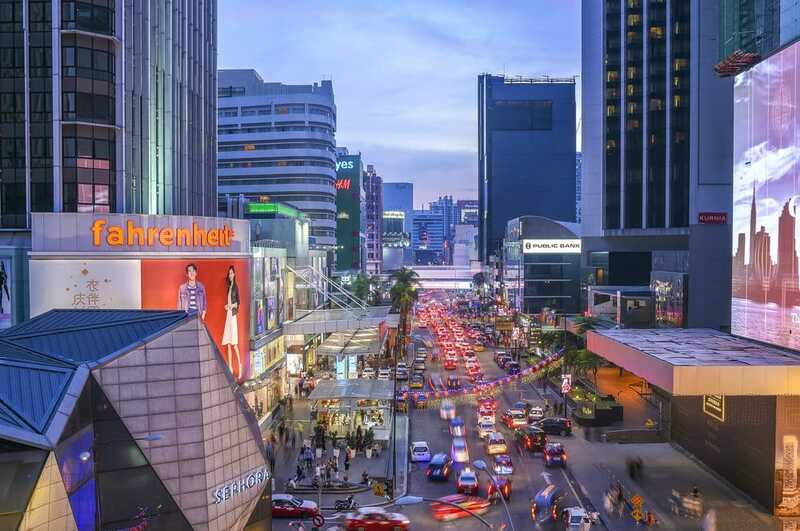 What you will find in and close to Bukit Bintang: Berjaya Times Square (a shopping mall with over 1,000 shops); many bars, pubs, and cafes; and clubs. Chinatown is a popular area located on Petaling Street, with many Chinese restaurants, traditional temples, and history. Though Chinatown has become a bit touristy, it is popular because it is a haven for budget travelers, as food and accommodations are quite affordable. 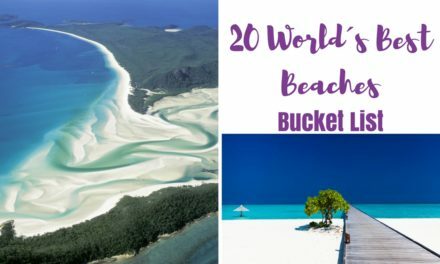 If you are looking for cheaper souvenirs and shopping opportunities, this is heaven, as there are real markets and other shops that sell things cheaply. Sentral is one main business area and is ideal for those who like to organize business meetings, stay close to the airport, or visit places outside the city center. 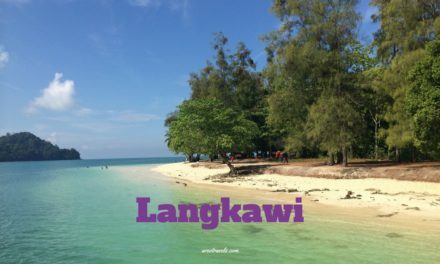 So, if you are just staying in KL for a layover, Sentral is a good area to stay – if you are staying in KL for longer than opt for KKLC or Bukit Bintang (my personal opinion) as you are closer to many KL tourists attractions and won’t have to spend much time stuck in traffic or haggle over taxi prices. 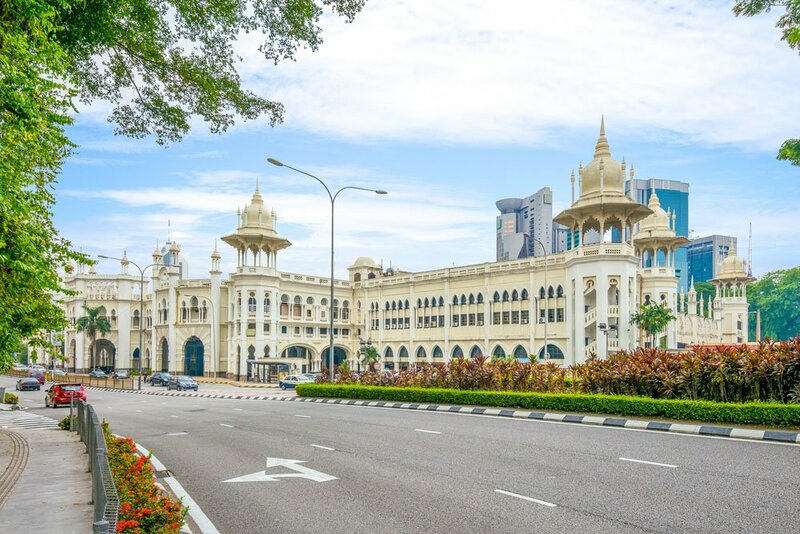 It is also close to Little India – Brickfields – which you can also consider when visiting Kuala Lumpur.